Symbols: Bible; branch; capenter’s square; carpenter’s tools; chalice; cross; hand tools; infant Jesus; ladder; lamb; lily; monstrance; old man holding a lily and a carpenter’s tool such as a square; old man holding the infant Jesus; plane; rod. Pope Pius X composed this prayer to St. Joseph, patron of working people, that expresses concisely the Christian attitude toward labor. 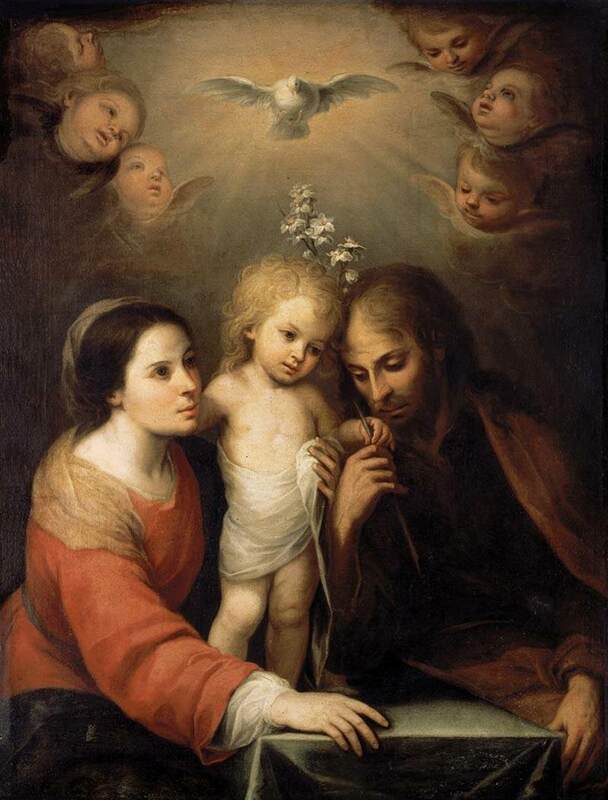 It summarizes also for us the lessons of the Holy Family’s work at Nazareth. Protector of the Holy Church,pray for us. Lamb of God, who takest away the sins of the world,Graciously hear us, O Lord. Go to Joseph in thy joys, thou wilt rejoice the more. Go to Joseph in thy grief, when death knocks at thy door. Go to Joseph no matter when, thy refuge he will be. He holds the key to Jesus’ Heart, Its treasures are for thee! The month of May begins with a feast of Saint Joseph. It is significant that the commemoration of Saint Joseph both precedes and follows the heart of the whole liturgical year: the glorious Pasch of the Lord. We celebrated Saint Joseph on March 19th; he returns to us again today. Saint Joseph is never far from the Blessed Virgin Mary, his immaculate spouse and, yes, his best friend, the friend of his heart, the love of his life, the unfailing cause of his joy in the midst of anxieties, hardship, and sorrow. Saint Joseph participated intimately in all those sorrows of hers that announced and prefigured the mysteries of Christ’s passion, death, and burial: the prophecy of Simeon, the flight into Egypt, the disappearance of the boy Jesus in Jerusalem. If you would empathize with the Heart of Mary, go to Joseph. In the days which followed the Lord’s resurrection, the Apostles remained amongst themselves, comforted by the presence of Mary, and after the Ascension they persevered together with her in prayer awaiting Pentecost. Our Lady was for them mother and teacher, a role she continues to develop for the Christians of every age. Each year in Paschaltide, we relive most intensely this experience and maybe for this reason the popular tradition has consecrated to Mary the month of May, which normally falls between Easter and Pentecost. This month . . . is useful for us to rediscover the maternal function which she develops in our lives, that we may always be docile disciples and courageous witnesses of the risen Lord. Similarly, Paschaltide discloses for us the ongoing role of Saint Joseph in the economy of salvation. During Paschaltide we read the Acts of the Apostles, the continuation of the life of Jesus Christ in His Mystical Body, the Church. In the life of the infant Church, as in the life of the Infant Christ, Saint Joseph is present: vigilant, interceding, protecting the poor, the vulnerable, and the weak. 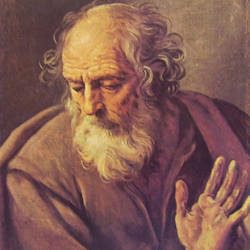 This hidden but very real role of Saint Joseph continues through history. Joseph, having held in his arms the Body of the Infant Christ, having nourished and protected Him, cannot forsake His Mystical Body, the Church. Even the Protestant theologian Karl Barth was compelled to write: “If I were a Roman Catholic theologian, I would lift Saint Joseph up. He took care of the Child; he takes care of the Church.” Saint Joseph watches over each member of the Mystical Body with the same devotion, the same tenderness, and the same strength with which he watched over the precious members of Our Lord’s Sacred Humanity. We recommend immigrants to Saint Joseph. He knows their struggles. He knows their anxieties, their hardships, and the fears. Saint Joseph was, after all, an immigrant in Egypt. He arrived there, in a strange land, with his Virgin Spouse and her Infant Son. He had to find housing, to look for work, to endure the suspicion, the prejudice, and the slights that are the lot of immigrants in every time and place. And we recommend priests to Saint Joseph. The Church, in her wisdom, proposes to her priests two prayers in honour of Saint Joseph each day, one before Holy Mass, and one after. Every priest can find in Saint Joseph a friend, a model, a protector. Saint Joseph stands ready at every moment to introduce priests into a deeper intimacy with his Spouse, the Virgin Mary. If you want to help priests, entrust them to Saint Joseph. All priests, especially parish priests, are exposed to being criticized and judged. It is a particular form of suffering that accompanies every priest from the day of his first Mass until the day of his last. I believe it was Archbishop Fulton Sheen who said that all priests are lacerated by the tongues of the pious! He knew of what he spoke; his own biography was entitled The Passion of Fulton Sheen. An effective way of countering the sins against charity that wound and discourage all priests is to entrust them to Saint Joseph. We recommend workers and those without work to Saint Joseph. People without meaningful work — be it manual or intellectual — fall more easily into depression. They have no self-esteem. They go from one thing to the next never finding the satisfaction and fulfillment that come from having a responsibility and from a job well done. Today let us not forget those suffering from idleness and unemployment. There is nothing more degrading to a human person. Even the sick and the very old find joy in work, in rendering the little service, in having others count on them for something. Finally, we recommend the dying to Saint Joseph. We will all want Saint Joseph near us at the hour of our death. Saint Joseph visits the dying because they are so much like little infants. They are vulnerable, weak, and subject to the attacks of evil spirits. 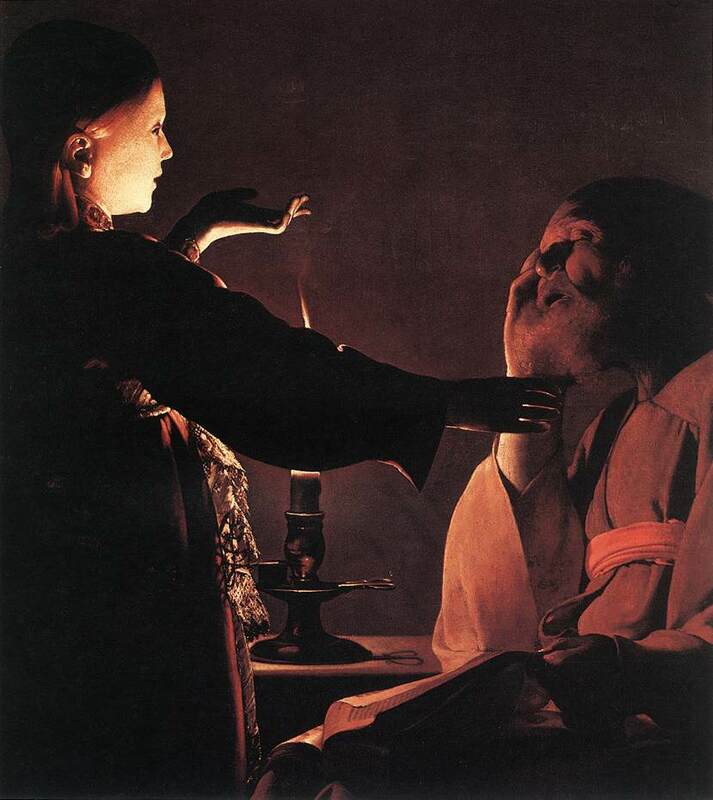 Saint Joseph, exquisitely tender for souls redeemed by the Blood of Christ, is the “terror of demons.” He is the defense of those in the throes of the final combat. If you want to die in the company of Saint Joseph, live in the company of Saint Joseph. Pray to him, seek his company every day. Saint Joseph is very close to us on this first day of May. Be close to him. He will guide you into the heart of the Mystery. There you will find his beloved Spouse, the Virgin Mary. There you will find the very Body of Christ: His glorious Body made present in the Most Holy Eucharist, and His Mystical Body, the Church.